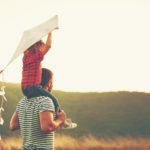 Picture this: You and your spouse are going through divorce, but you aren’t sure how you’re going to financially support yourself when the divorce is finished. 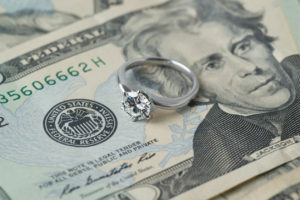 Because of this, the court will order something known as spousal support (or alimony), which orders the other partner to pay a certain amount of support each month. We will help you understand the many aspects of spousal support with this California FAQ. How does the process start? There must be a court case to determine alimony. While your case is ongoing, a temporary spousal support order could be established, or you could gain alimony as part of your divorce judgment. How is it calculated? When the alimony is temporary, judges will use a formula to calculate the amount. They also look a variety of factors, such as the length of the marriage, the standard of living sustained during the marriage, age and health of both people, what each person is able to pay, whether there was domestic violence, and more. What does the judge consider? One of the biggest is earning capacity and the standard of living during the marriage. The judge will look at the marketable skills of each and the job market for these skills, as well as how long it will take the other spouse to receive training. The duration is also important because it shows just how long one spouse was supporting another. What if you fall behind? Spousal support can only be changed or ended when you go to the court to do so. This means you have to keep paying unless the court orders otherwise. If you fall behind in payments, this acts much like child support and will owe 10% interest on the balance due. It could become a matter of wage garnishment, so remember to pay alimony on time every time. How do you change your order? There must be a change in circumstances before the court will grant you a change in your order. Maybe this means that your job doesn’t pay you as much as they once did, or you received a disability and cannot continue to make the same payments. Perhaps the other spouse got remarried. How do you end spousal support? Spousal support ends when a judgment says so, one of the spouses dies, or the person receiving spousal support gets remarried. Spousal support may be difficult to understand if this is the first time you are receiving it. 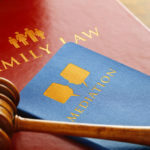 Because of this, you may need the help of an experienced attorney to guide you in understanding the laws that surround alimony and how they play a role in your case. Call us today for more information.